WASHINGTON – (RealEstateRama) — The National Housing Conference is encouraged that the Trump administration’s proposal, “Reform Federal Role in Mortgage Finance” is addressing a critical issue affecting the American Home. 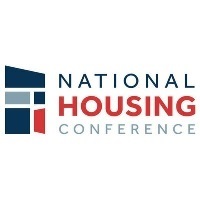 “The proposal is a constructive beginning to an overdue and important discussion,” said David M. Dworkin, president and CEO of the National Housing Conference. “NHC looks forward to working with our members, Congress and the Trump administration on developing a broad, bipartisan consensus on housing finance reform,” Dworkin said.